Penny visited the River of Art Prize exhibition at SoART Gallery and fell in love with Go Anna. 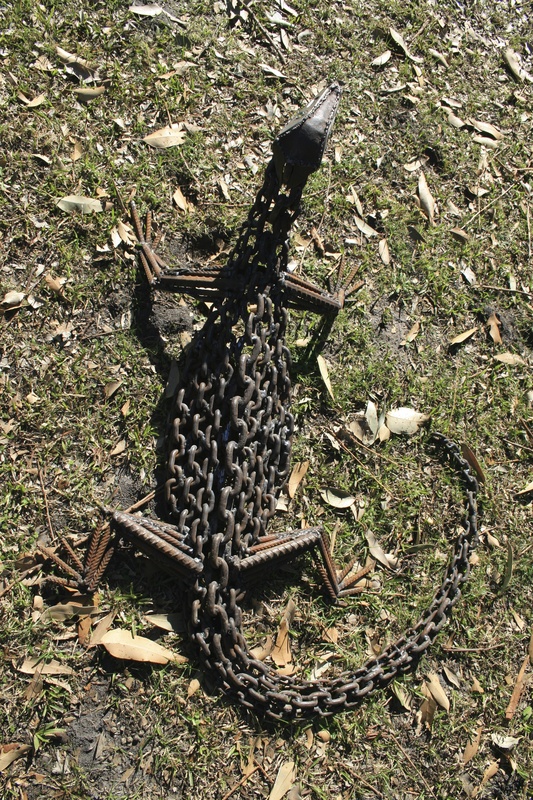 She wanted to purchase her, but this piece’s rightful home is at my mother-in-law’s farm in Neilrex. 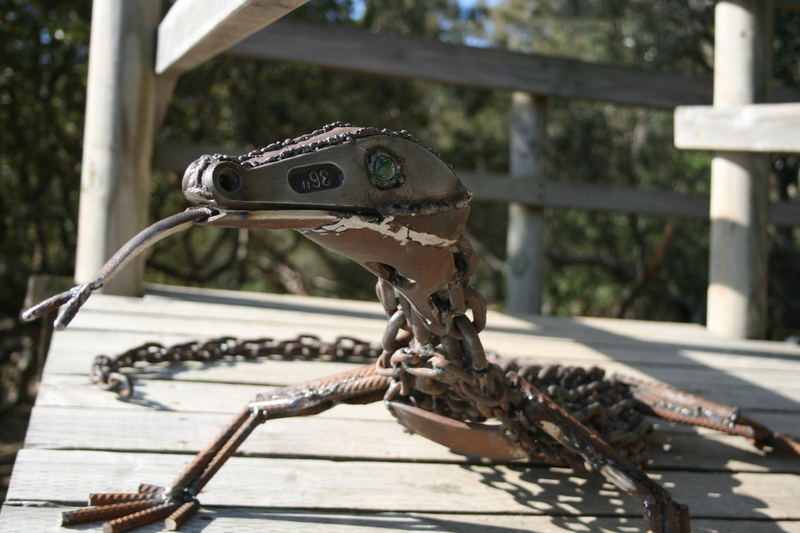 But Penny gave me a call and commissioned her own goanna, Gary. Gary is quite different to Anna, despite the similarities in pose. 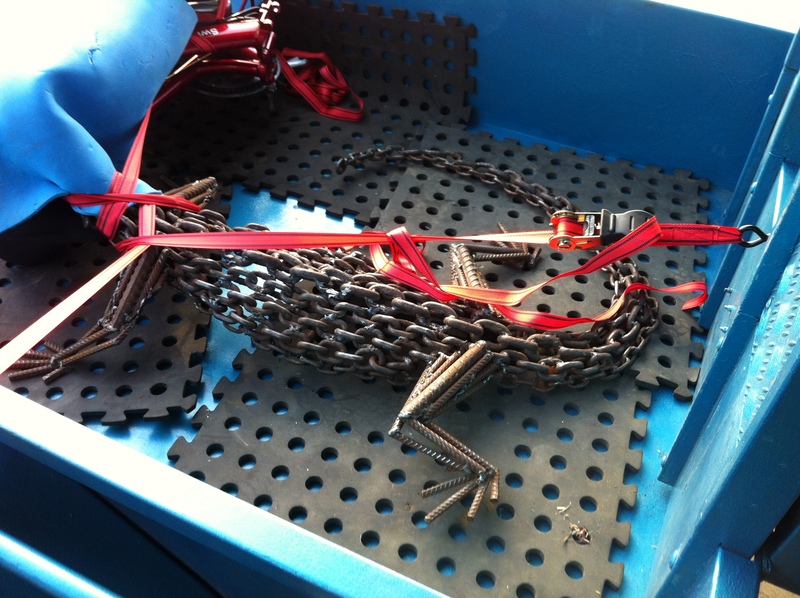 Instead of Anna’s machinery chain, I sourced broad linked marine chain for Gary. 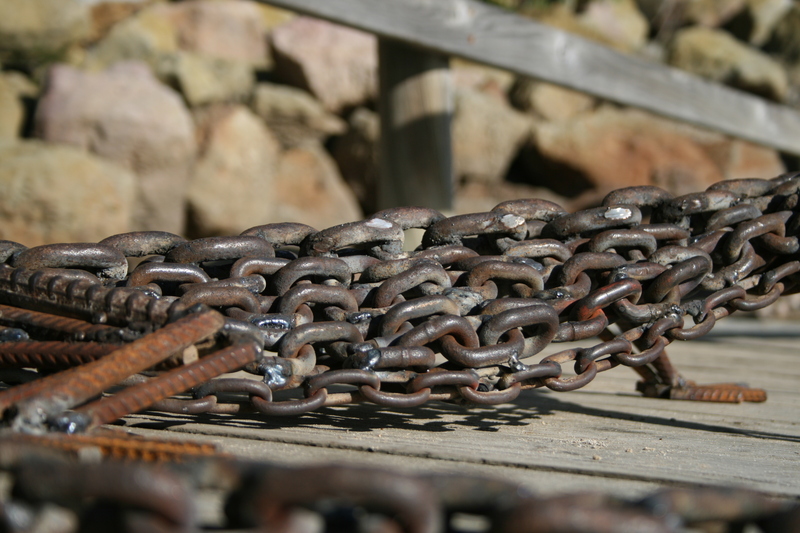 I loved the overall look of this type of chain, the thick skin that Gary wore as a result. And no doubt about it, Anna is definitely female, and Gary is definitely male! 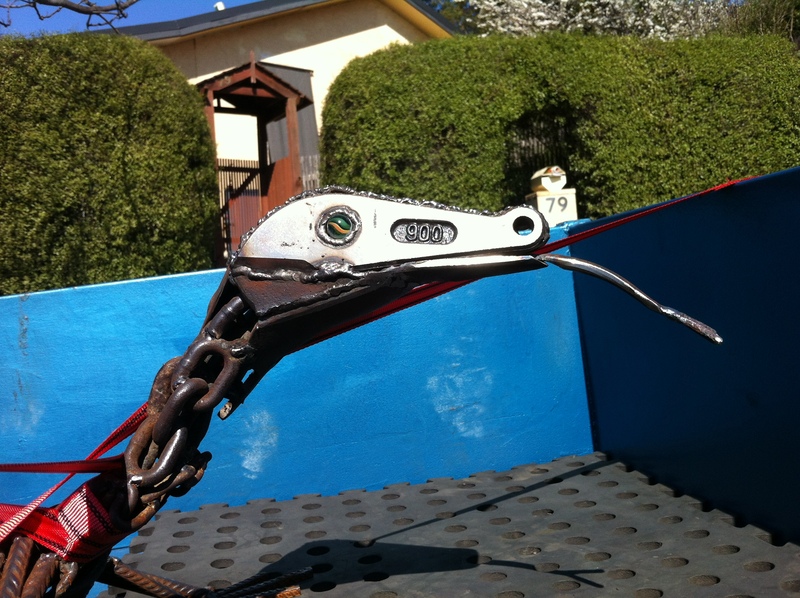 After finishing him off, Gary was loaded into the trailer and made his way to his new home in Narooma. 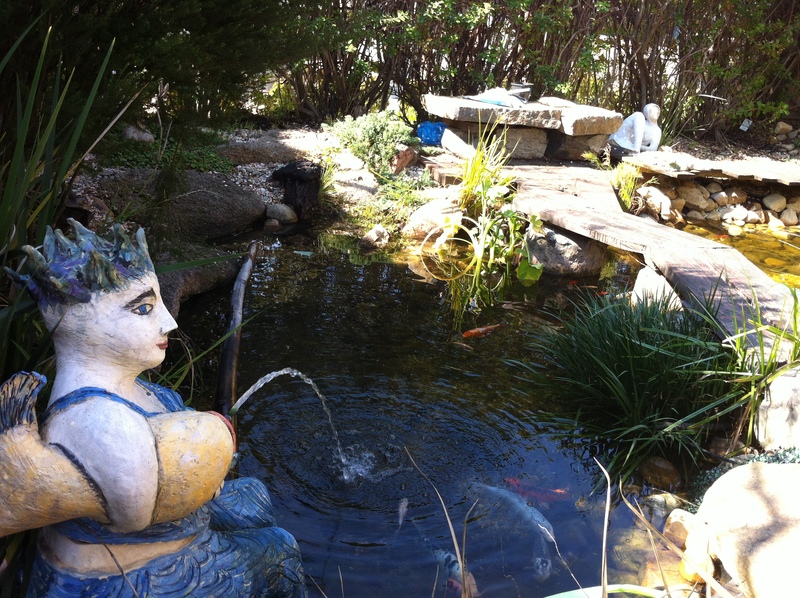 Here is Penny’s beautiful garden where Gary will be spending his days in the sun. 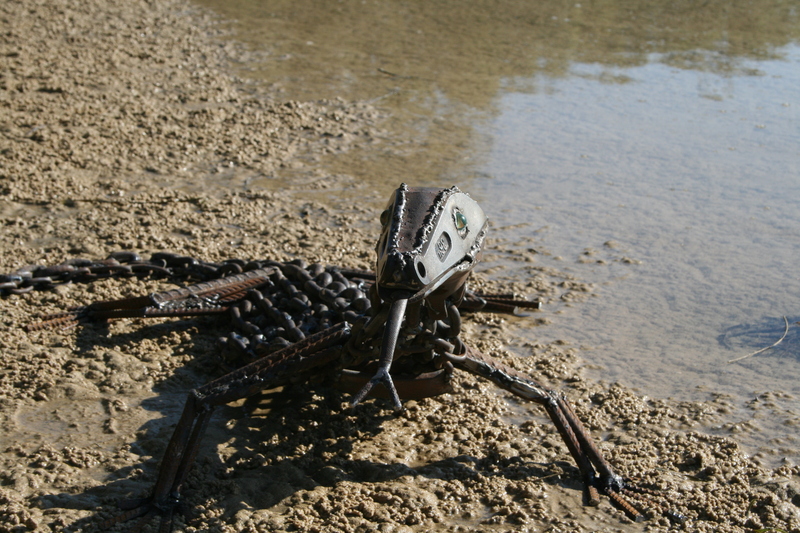 This entry was posted in Completed Work, Sold Work and tagged commissions, goanna, River of Art, South Coast. Bookmark the permalink.